Draw the curtains for 2019! 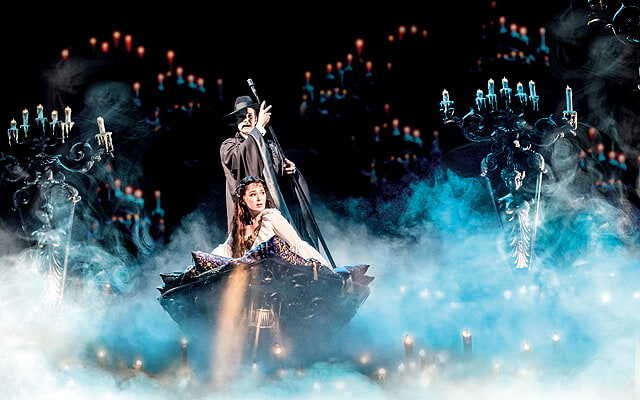 This year is sure to delight theater-goers with a promising lineup of onstage performances coming their way. From the internationally acclaimed Phantom of the Opera to the musical retelling of our very own epic fantasy Ibong Adarna, this year already leaves no worries for all the certified culture crowd out there! So, to help you list down the necessities for your anticipated ticket-shopping, we're giving you a rundown of 9 must-see theater plays showing on Manila this 2019! 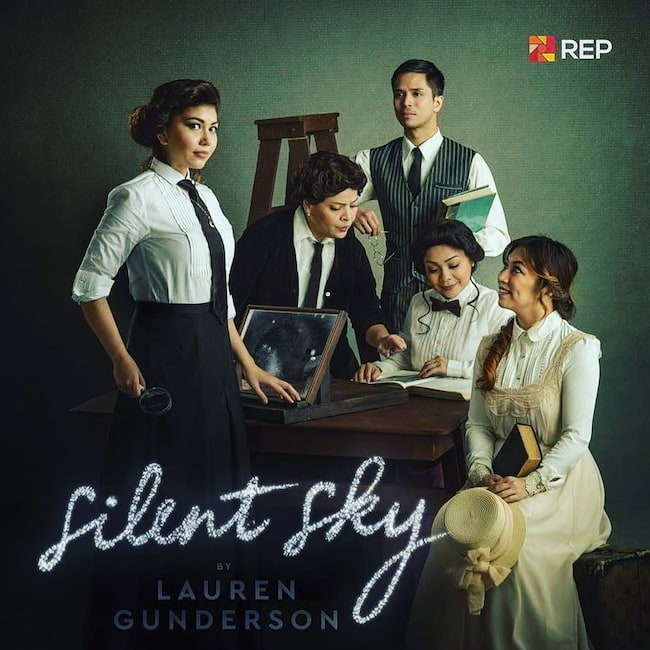 The critically-acclaimed play by Lauren Gunderson, Silent Sky is based on the life of early 20th Century astronomer Henrietta Swan Leavitt and a group of female scientists whose research surpassed the male-dominated field of astronomy by discovering the truth of our universe: it does not end with the borders of our Milky Way galaxy, but it is only one of the billions of billions of galaxies. Original cast members include Cathy Azanza-Dy, Caisa Borromeo, Naths Everett, and Topper Fabregas, who also steps in as assistant director. Renowned actor-screenwriter and producer Bibeth Orteza will also return to the Philippine stage as another brilliant astronomer Annie Cannon. Miong tells the story of the first Philippine President, Gen. Emilio Aguinaldo in his humble beginnings to his fight for Philippine Independence, and in further strengthening the Filipino identity with its national flag and national anthem. 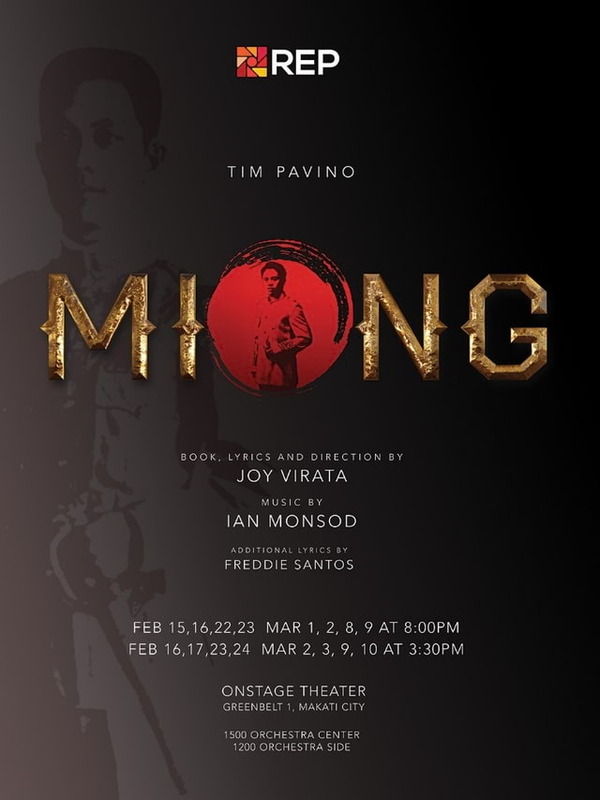 Miong or Emilio Aguinaldo is played by Timmy Pavino. 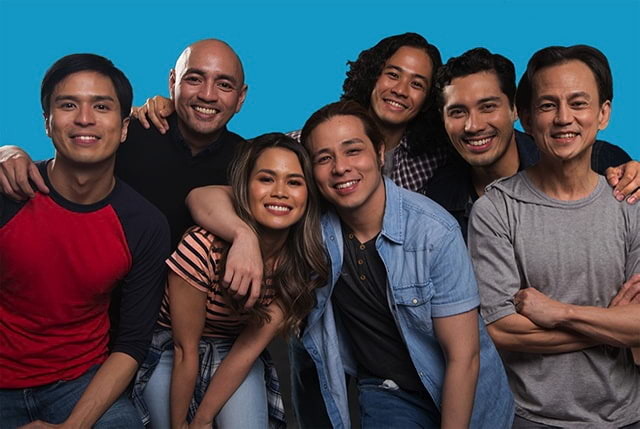 Ang Huling El Bimbo cast (from left to right): Topper Fabregas, OJ Mariano, Tanya Manalang, Reb Atadero, Boo Gabunada, Gian Magdangal, and Jon Santos. Now on its second run, Ang Huling El Bimbo is an original story that tells the strong relationship between people bound by friendship. It does not only bring back memories of old friends but will also pull out the nostalgia through the music of the most iconic Filipino rock band in the 90’s. 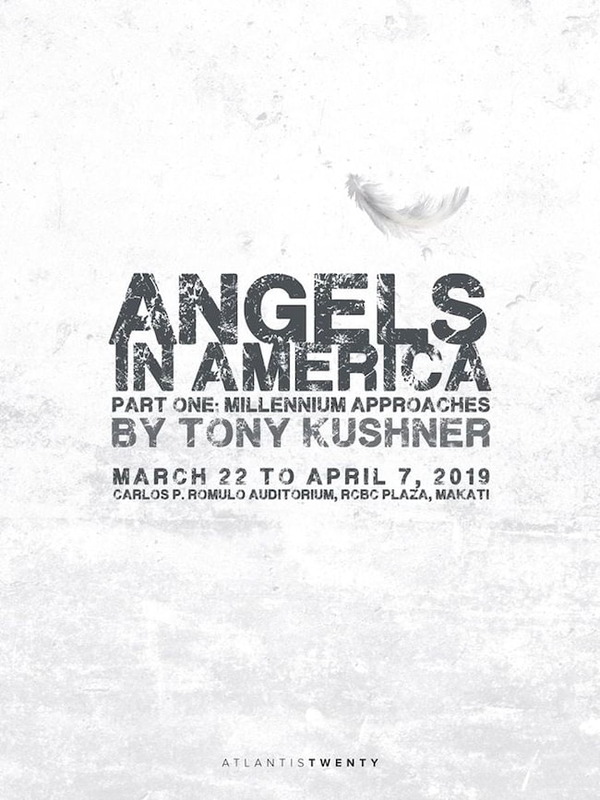 The cast will be brought to life by actors Topper Fabregas, OJ Mariano, Tanya Manalang, Reb Atadero, Boo Gabunada, Gian Magdangal, and Jon Santos. The Tony Award-winning play by Tony Kushner brings us back to mid-1980s where lives of several people are being tossed around by homosexuality, AIDS, drug addiction, and faith. 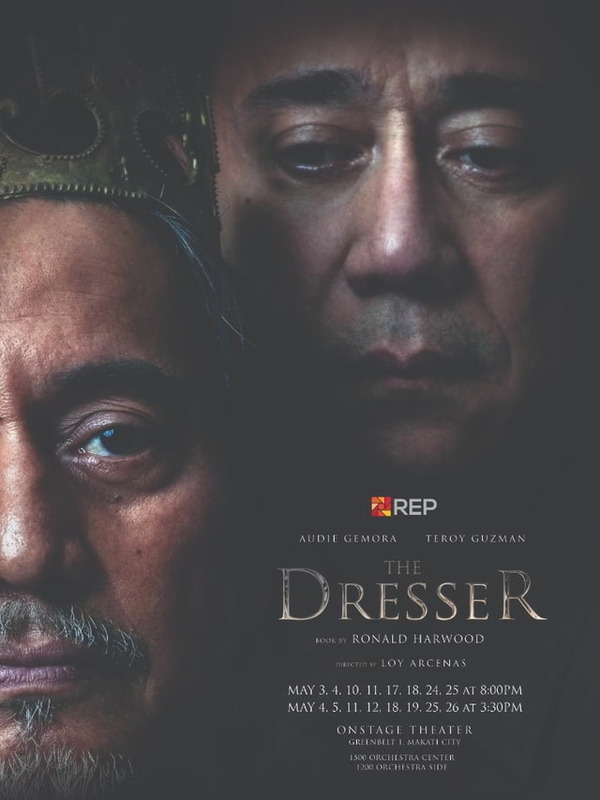 December 2018 had revealed the full Manila cast of the play, which includes Art Acuña as Roy Cohn, Pinky Amador as the Angel, Angeli Bayani as Harper Pitt, Topper Fabregas as Prior Walter, Cherie Gil as Hannah Pitt, Nelsito Gomez as Louis Ironson, Andoy Ranay as Belize, and Markki Stroem as Joe Pitt. A man turned bitter by the divorce that tore his family apart, Henry Willows’ winter takes an unexpected turn when he is visited by his estranged son Matthew, and his goth girlfriend Christine. After being rude to the both of them, Matthew runs away, prompting Henry to call his ex-wife, Sue. The uneasy reunion turns into a recollection of the past as Matthew plans to rekindle his parents’ relationship. 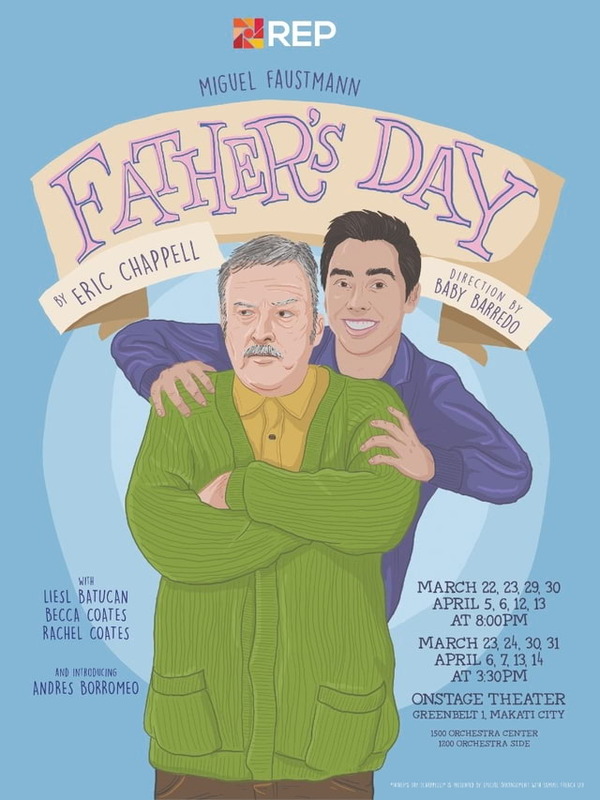 A heavy-themed story told through humorous antics, Father’s Day is sure to bring out the laughter in the most complex of situations. A touring theater company pushes through with their production of King Lear even as Germans with their bombs continue to lay waste to England. The brilliant actor Sir arrives on set in a delusional state, about to play the role of Lear. While the company disapproves this, Sir’s loyal dresser Norman does everything to ensure that the show will go on. Presented by Rep’s Theater for Young Audiences, The Quest for the Adarna is a musical retelling of Ibong Adarna. 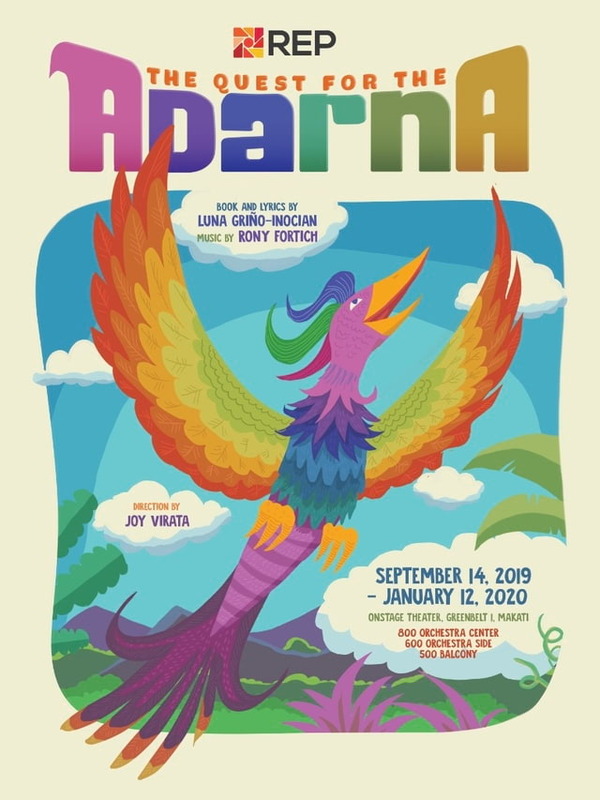 The play brings to life all-familiar characters in this magical journey of three princes whose quest is to find the mythical “Adarna” bird, the final hope to cure their father’s illness. The demon barber of Fleet Street slashes his way to Manila this October alongside his accomplice Mrs. Lovett. 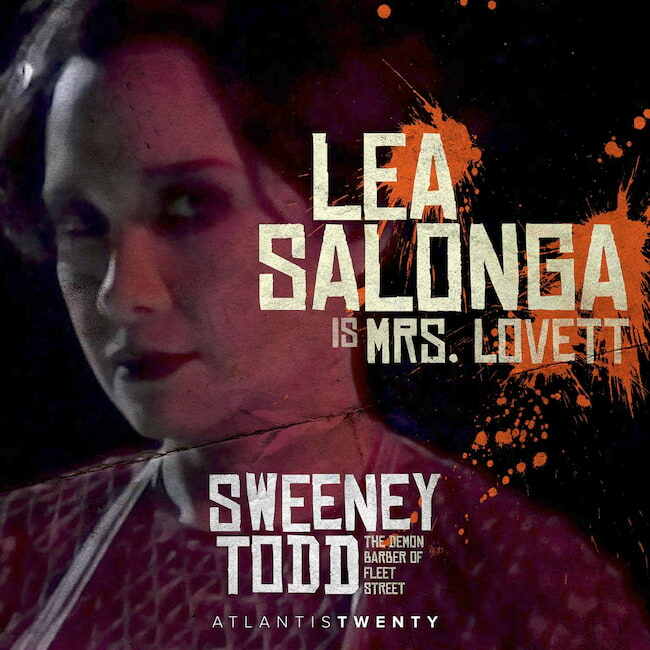 What’s expected to be more promising are the performances of rock icon and musical theater star Jett Pangan, and Award-winning Broadway actress Lea Salonga, who will play the murderous pair, Sweeney Todd and Mrs. Lovett. Sweeney Todd is one of the presentations of Atlantis Theatrical Entertainment Group for its 20th anniversary. Which of these shows are you most excited to see this year?